A friend of mine in London was lucky enough to win a trip to the Faroe Islands and I was even luckier because she asked me to come along. 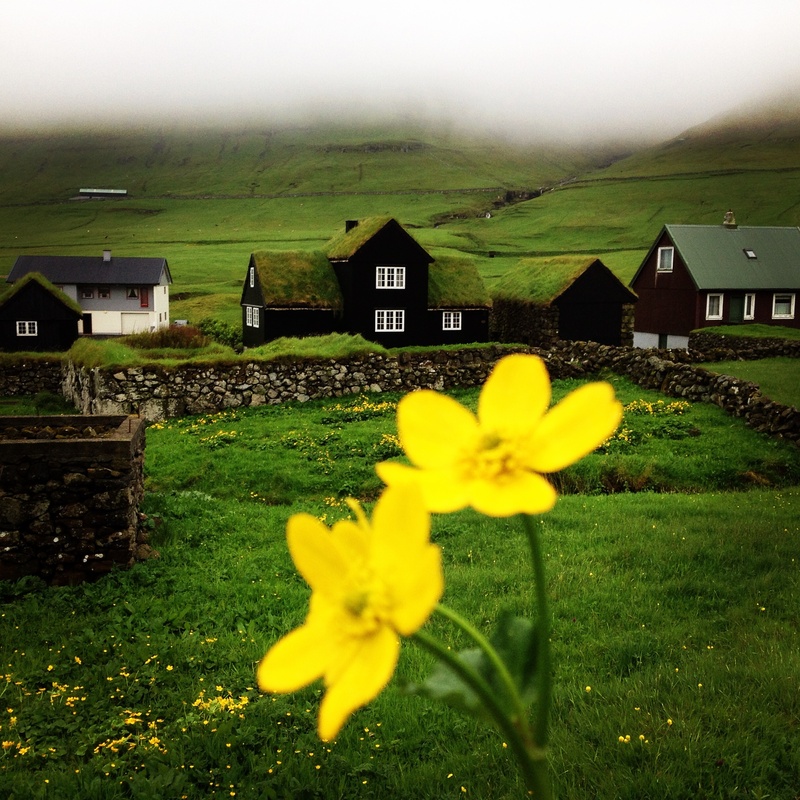 I had to do some research as I had heard of the Faroes but really knew nothing about them. For such a small group of islands they have a big history. 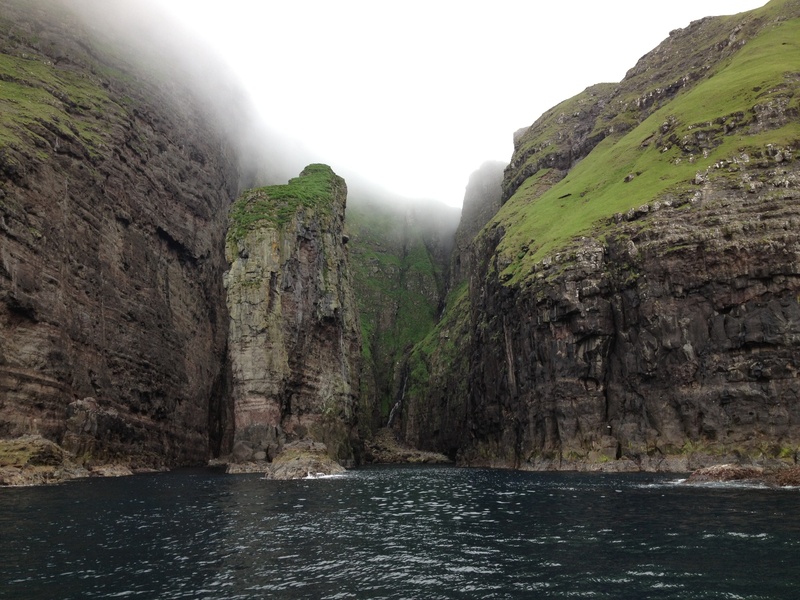 The Faroes are made up of 18 islands. 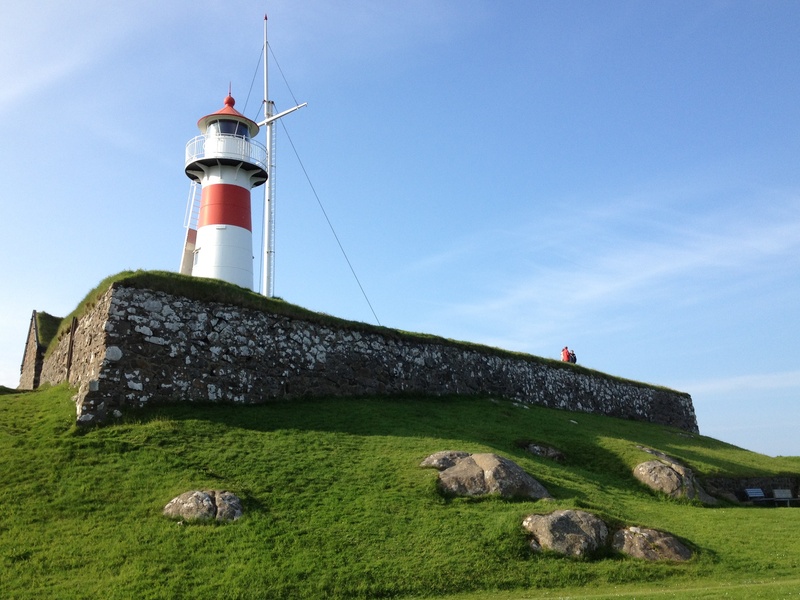 They were originally part of Norway but are now part of Denmark. The language is similar to old Norse. Vikings colonised the Faroes in the ninth century but there is evidence of people even 300-500 years earlier than that. The islands were neutral in world war two but supplied fish to England which led to the Germans shooting their ships and bombing their ports. England eventually occupied the islands during the war and permitted the islands to use their own flag, an act that helped solidify the movement for more independence from Denmark. Greater independance was given to the Faroes after the war, and included not only their own flag but their own government and currency (although it is tied to the Danish kroner and they use Danish coins). Plus, the sweater made famous in the television show The Killing was made there. On top of all that, the islands are absolutely beautiful. 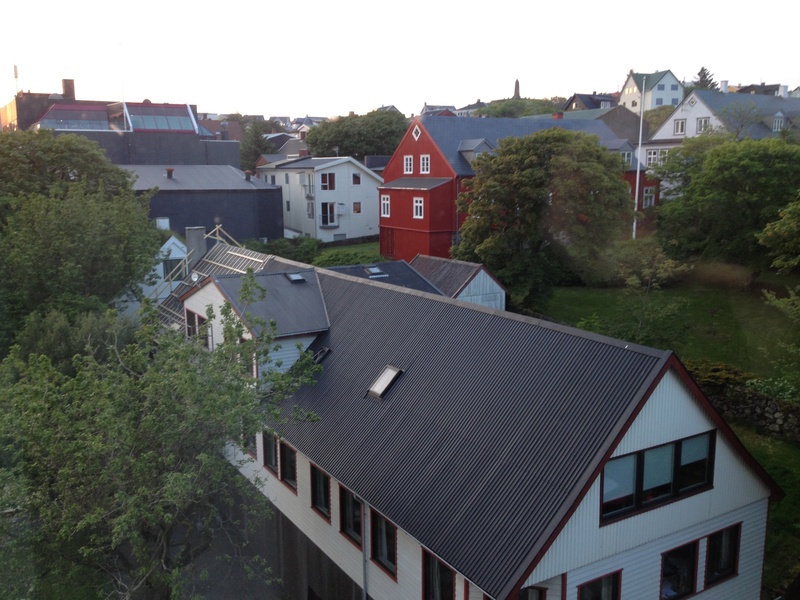 We stayed in Torshavn, what an amazing city. It is small but there is a lot to see and do. As luck would have it we were there for the Faroe Islands cultural festival which meant most of the population of the Faroes came to Torshavn. The museums and stores were open late, people had access to government buildings, and there was live music and even a fashion show of cultural outfits. We went to the National Museum which covers Faroese culture and history over the years, saw the fashion show, visited a couple galleries, went through the town hall and spent most of our time walking around in the crowds people watching. We saw many people wearing “that sweater”, we were surprised by how many actually. The city itself is a mix of old and new. 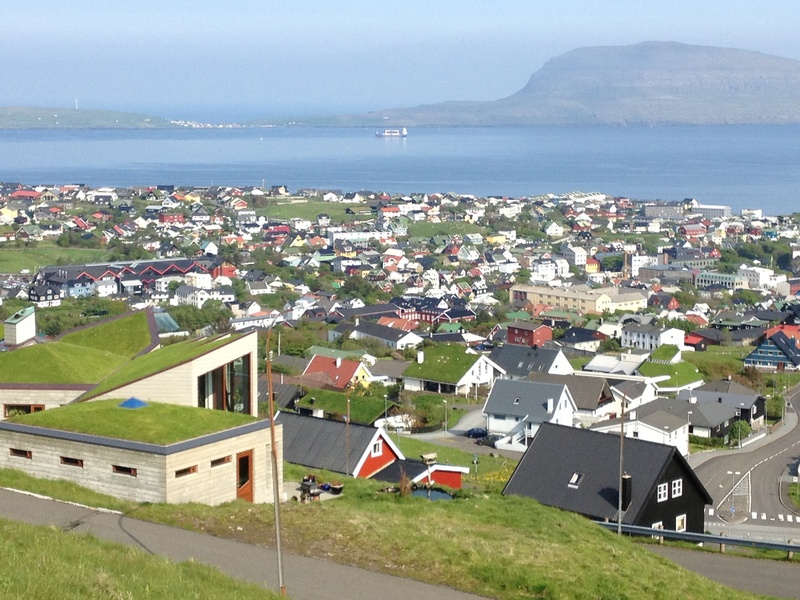 There are traditional turf roof houses mixed in with more modern buildings. The wharf area has the fortress on one side, government buildings in the middle and coffee shops along the far side. 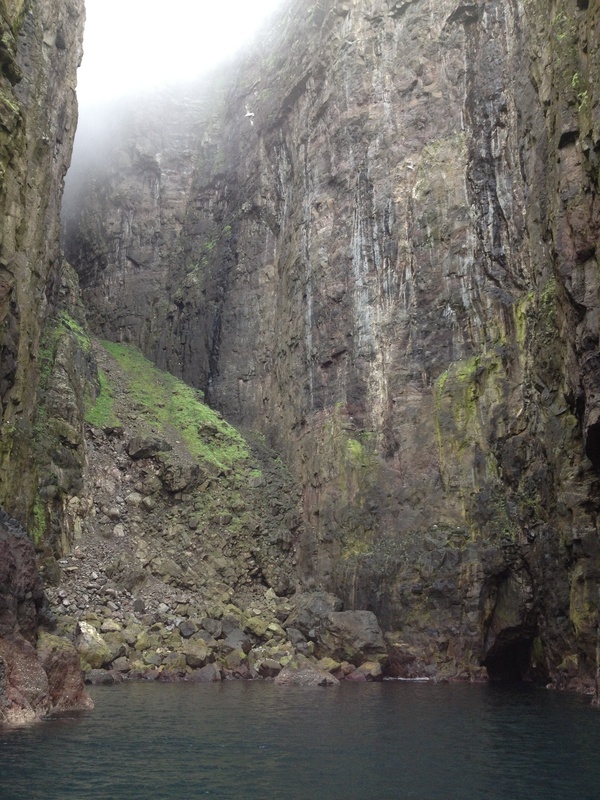 On our second day we went on a tour of the bird cliffs from Vestmanna with Tora tours. On the drive there we stopped at the old viking town of Kvivik with all traditional houses. The community has changed little over the years. On the boat ride out to the cliffs we passed huge salmon fishing traps. Fishing is still the main industry in the Faroes. At the bird cliffs there were many kinds of birds building nests but sadly I only saw one puffin, which surprised me as all of the tourist shops are filled with puffin items. The guide said that the puffin population has decreased in recent years, no one is sure why, and he was quite surprised we even saw any. Sadly I did not get a picture as it was small and the boat went by too fast. We spent a lot of time on the water, also went into grottoes and saw the famous elephant rock. 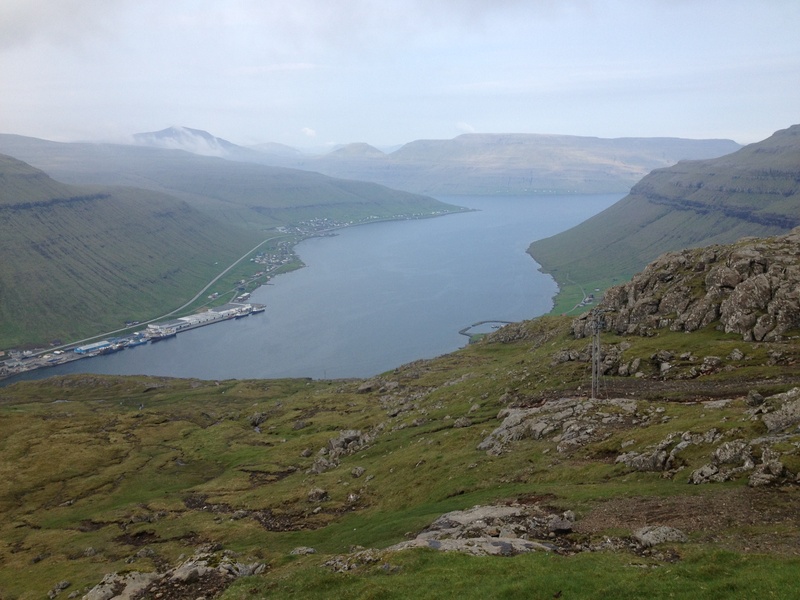 We also saw many many sheep, a big part of the Faroes economy, mainly for wool and wool products. Lamb is also a main dish in homes and restaurants but not exported. They are everywhere, even in the cliffs. To get them onto the cliffs to eat the grass the sheep are lifted by a pulley and placed there, often at a precarious angle, and they seem okay with it. Bizarre to see them up there, seems like they could fall at any time! Very interesting place and a great tour. The next day on another Tora tour we went to Sandhoy island. The ferry dropped us in Skopun, a beautiful little town which also has the largest post office box in the world. 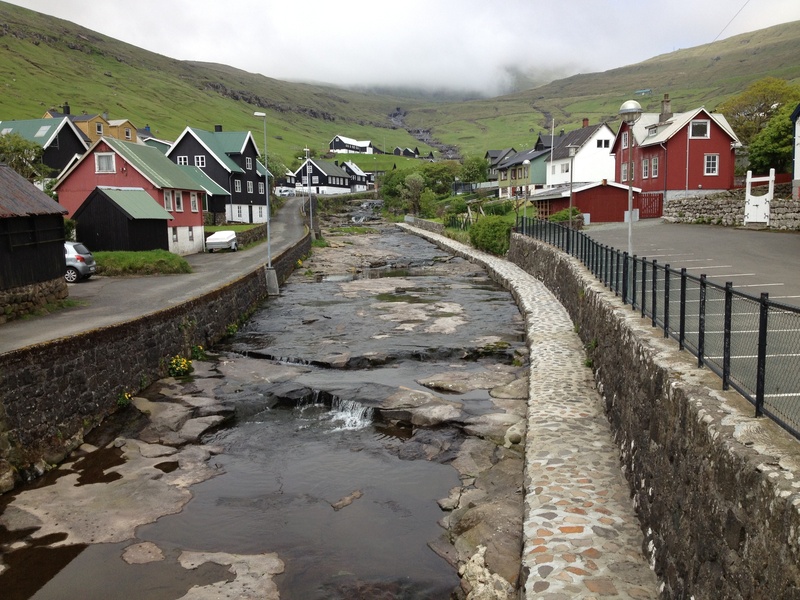 Our tour took us all over the island to the main villages, including Sandur, Husavik, and Skalavik. 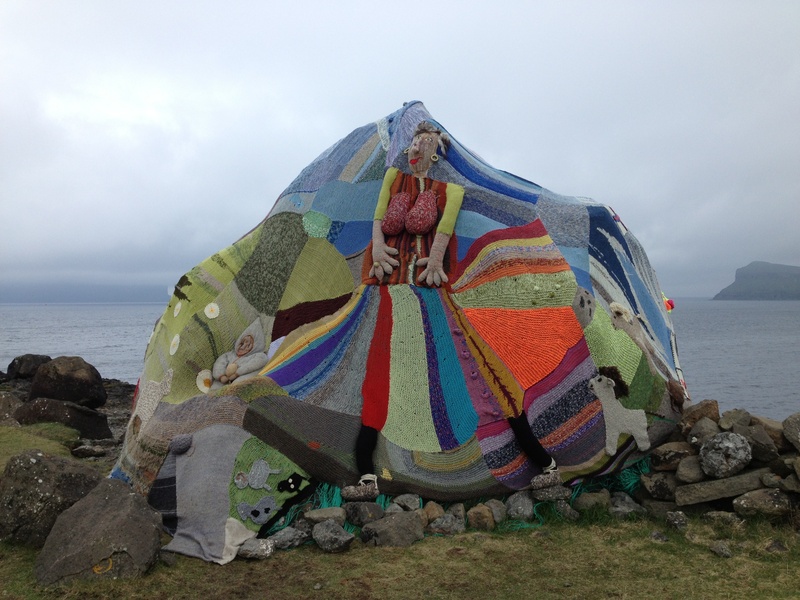 At one stop we found a knitting bomb, an entire massive rock was covered with knitting with different patterns surrounding the rock. Driving along the cliffs gave stunning views and the villages are picturesque. I could not take enough pictures, especially in Husavik which is made up entirely of traditional houses. Near the beach we saw old bombs from world war 2, one was being used as a fire pit. 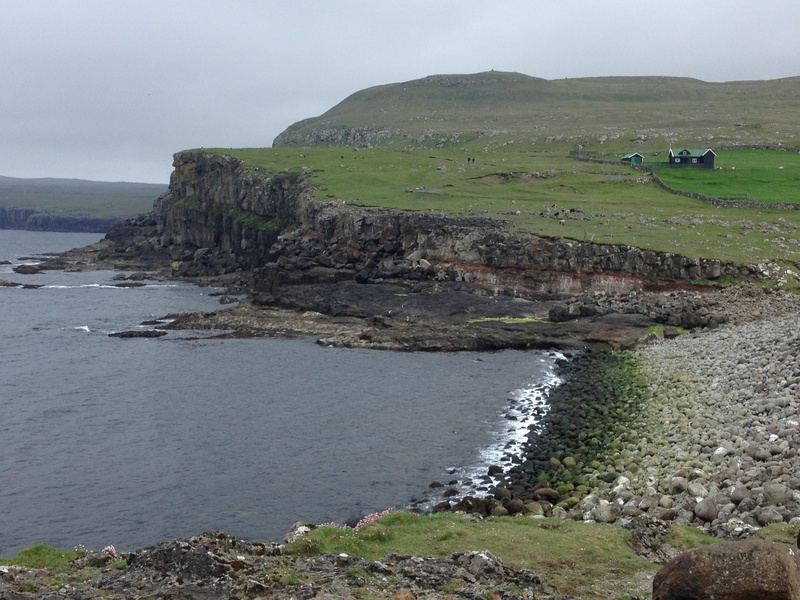 The entire island was stunning and I highly recommend a trip there if you are in the Faroes. 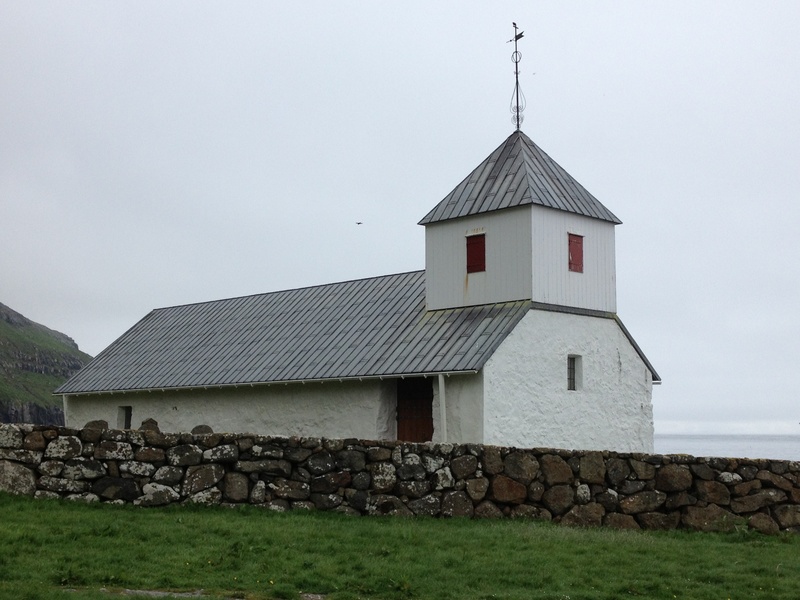 The tour ended back on Streymoy with a visit to St. Olav’s church in Kirkjubour. It was built in the twelfth century, approximately 1111, and is the oldest church on the islands. Spend as much time as you can, I wish I had been there longer, there is so much to see and even though the islands seem small it takes time to get from place to place.